Please find below the acceptance letter from Local 1360 of the United Food and Commercial Workers Union. National Benefits Programs serves all labor union employees and their immediate family members. 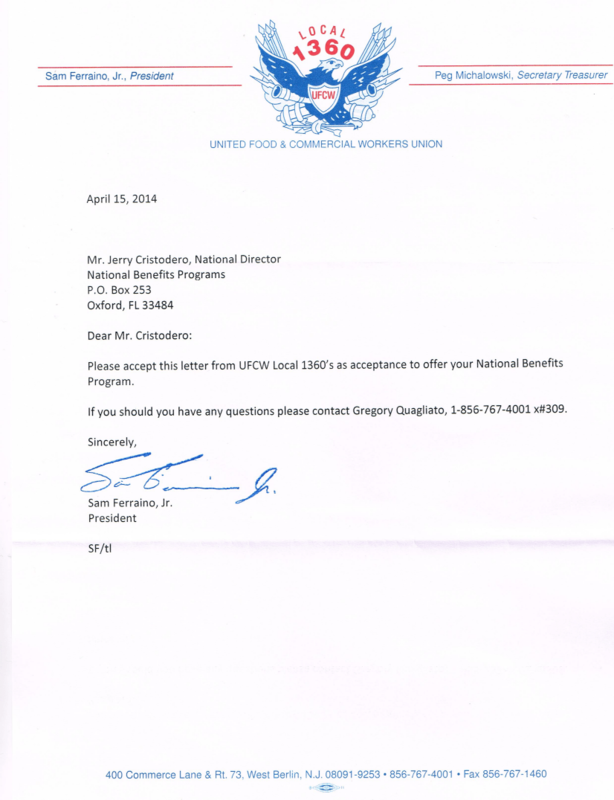 Please accept this letter from UFCW Local 1360’s as acceptance to offer your National Benefits Program. If you should have any questions please contact ….